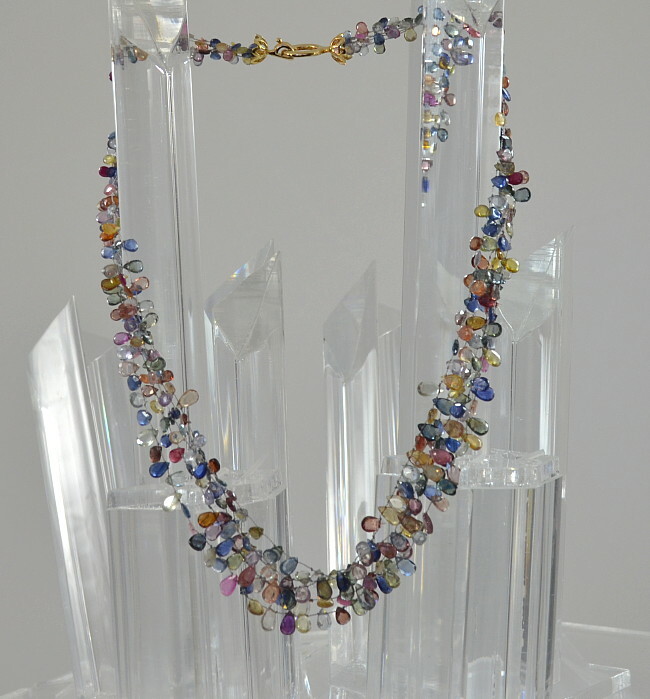 This necklace is multi color rose cut sapphires. Clear, pink, red, blue, purple, brown, green, and light gray. 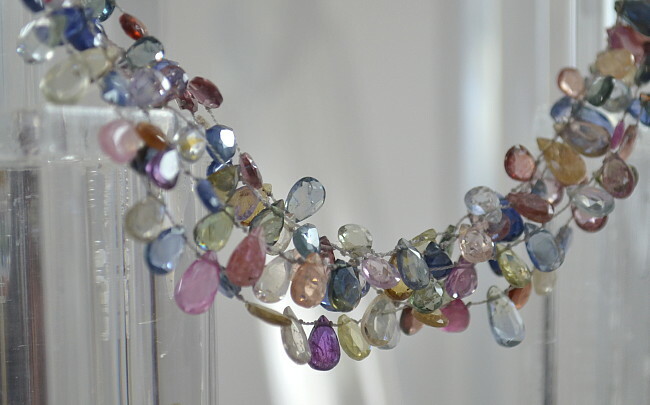 Each rose cut sapphire is hand knotted on pale gray silk cord. 5 strands of sapphires which is pretty tedious work. 14k Gold elegant but simple clasp. Sparkle away with this stunner. Wear it with anything. That’s the beauty of this necklace! Many people don’t know that sapphires come in an array of colors, now you do!